The 2019 Rock ‘N’ Roll Marathon and Half Marathon is slated for Sunday, Feb. 10. The international event attracts both the running masses and elite athletes. It also brings road closures, parking restrictions and traffic delays. St. Charles Avenue will be closed to traffic Sunday morning from 6 a.m. to 10:45. The streetcar will not operate until all runners have cleared St. Charles Avenue. 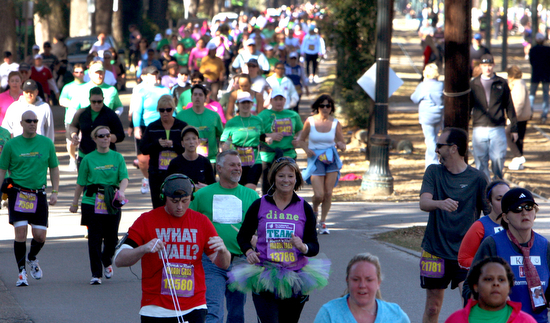 Runners will begin at Lafayette Square, then follow St. Charles Avenue to the university area, where they will double-back along St. Charles to the CBD. The entire route is below. 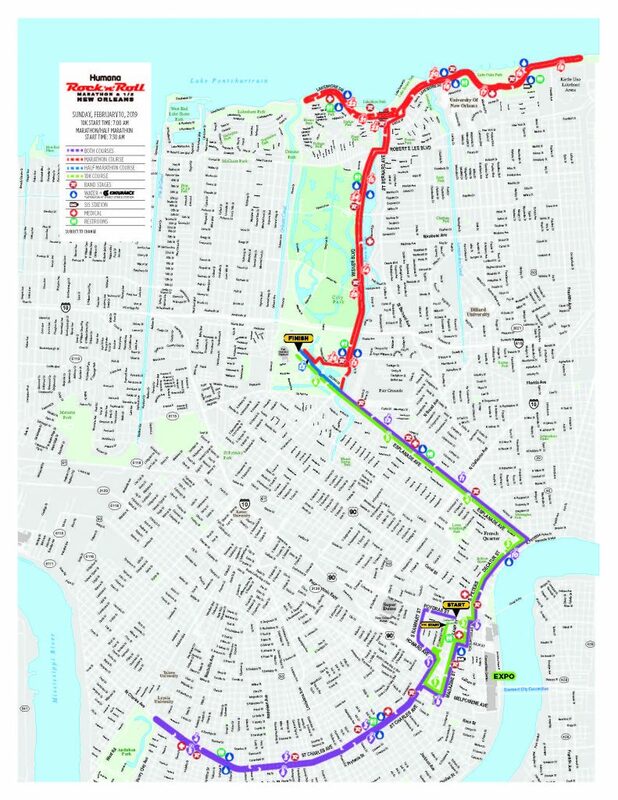 From Uptown and the CBD, runners will then will pass through the French Quarter and up Esplanade Avenue to the Lakeshore area, traveling through Lake Terrace, Lakeshore and Lake Vista. Runners will proceed back down Wisner Boulevard and will end in City Park. The Lower Garden District, Central City, Garden District, Touro, Milan, Uptown and Audubon areas will be affected. So will French Quarter, Marigny, Treme-Lafitte, 7th Ward, Bayou St. John, Fairgrounds, St. Bernard, Filmore, Lake Terrace and Oaks areas, and Lakeshore-Lake Vista. Informational door hangers were mailed to residents, businesses and organizations along the route. Most road closures and detours will be in effect between 6 a.m. and 3 a.m. on Sunday. Between 6 and 7 a.m., police and event personnel may implement a soft closure along the entire race course. The races begin at 7 a.m.
At most points along the course, pedestrians and bicyclists may cross the affected roads during safe gaps in runners, at the discretion of a traffic controller if present. The streets will reopen on a rolling basis as soon as the last participant has passed and all course support materials have been removed. Streets along the earlier miles of the routes will open earlier than roads along the end of the routes. Residents and businesses located near the race course are urged to plan ahead and to be aware of road closure schedules and alternate access routes. The Lafayette Square area will closed 3 a.m. to 9 a.m.; the St. Charles Avenue area from 6 a.m. to 10:45 a.m.; the Convention Center and Cruise Terminal area from 6 a.m. to 11:15 a.m.; French Quarter area: closed 6 a.m. to 11:15 a.m.; the Lakeview area from 7:30 a.m. to 3:15 p.m.; and the Lakeshore Drive area will be closed 7:30 a.m. to 3 p.m.
RTA routes will experience delays or detours during the event, including but not limited to: St. Charles streetcar, 47 and 48 Canal streetcars, 11 Magazine, 55 Elysian Fields, 88 St. Claude, 91 Jackson-Esplanade, and 94 Broad. All RTA service alerts, updates, and detours can also be accessed by downloading the RTA’s GoMobile app. To learn more, visit www.norta.com or call Ride Line at 504-248-3900. 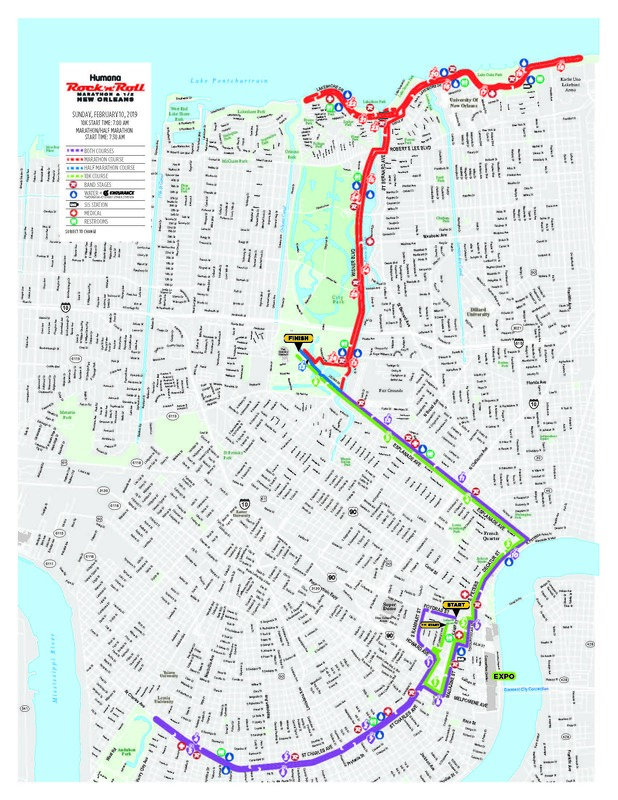 Streets along the race course will be marked with no parking signs, and parking enforcement personnel will be out in force. A tracker app for the marathon is available here. The Waze app can provide up-to-date traffic information.